Having an email address with a custom domain gives you a certain level of professionalism. I mean, would you take me more seriously if my email address is raelyn4534[at]gmail.com or raelyn[at]raelyntan.com? The latter sounds more professional, right? Most hosts allow you to create an email address with your custom domain, but accessing your email is very troublesome if you are always doing it via your Cpanel. I find the hosting Cpanel interface extremely clunky and slow. After changing to gmail for my email address, things have been soooo much faster for me! My email used to always block out emails and the clunky interface really affected my response rates. For just $5/ month, you can use Gmail as your email client instead, PLUS have a custom domain as your email address. Today, I’ll teach you exactly how you can do that! 1. 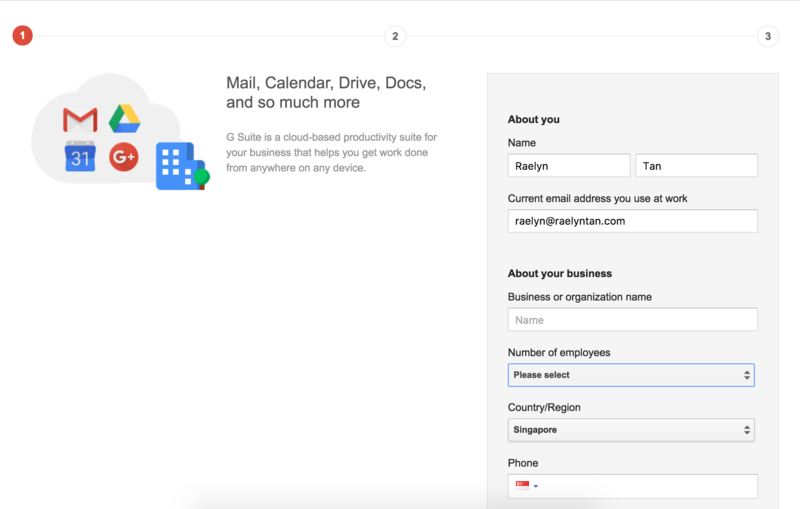 Visit the G Suite site here. 2. Click on “Start free trial”. 3. 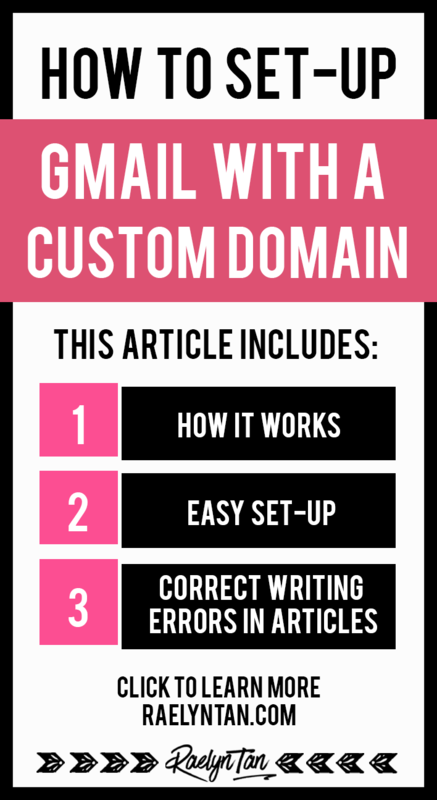 Fill in your details, like your name and the email address you use (with your custom domain). 4. Select “Use a domain name I have already purchased”, and fill in your domain name. 5. 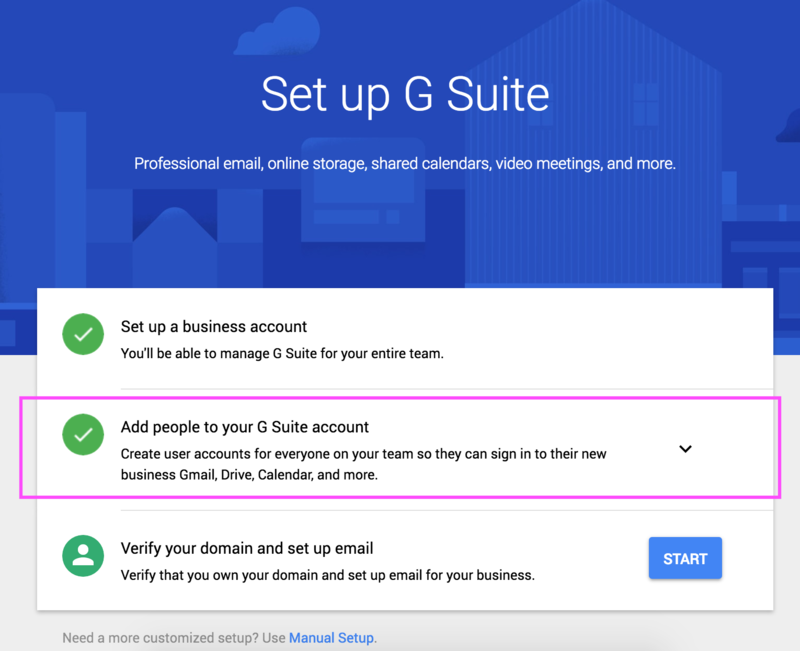 Create your G Suite account. Click “Accept and Sign up”. 6. 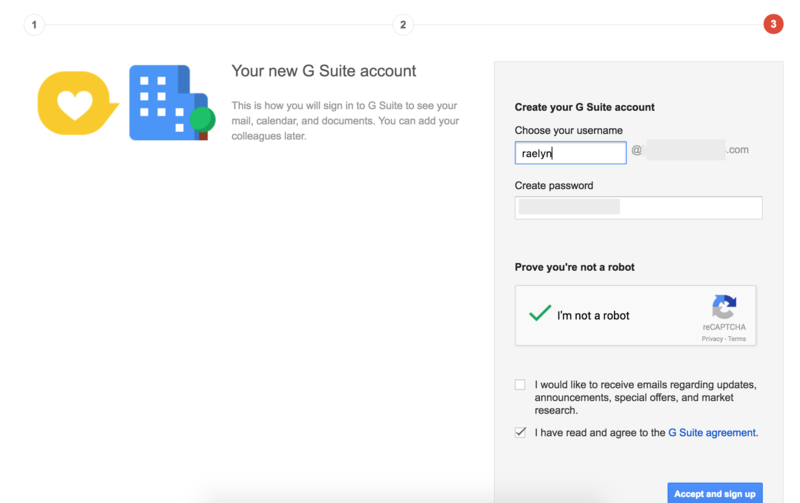 You will be prompted to add people to your G Suite account. 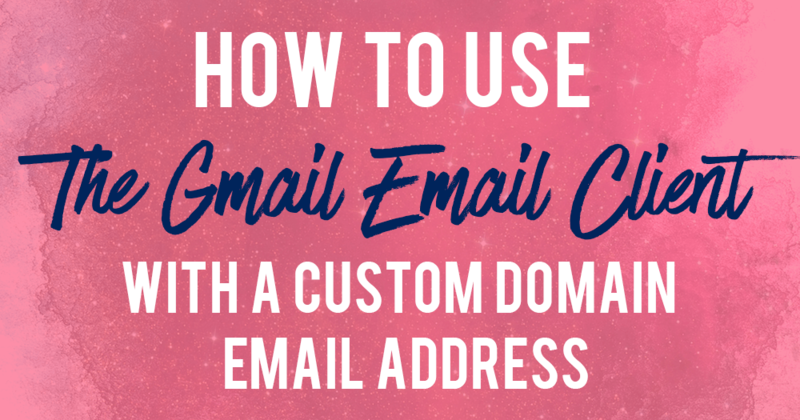 If you already have other email addresses receiving mail at your an email address with your custom domain, you’ll want to add those in. As Google charges per user per month, only add the email addresses you really need – you want to decrease your expenses. 7. Verify your domain. You can do this by adding some code into your header – there are also a couple of other ways you can do it. Most themes allow you to easily add code to your header. There are also plugins that allow you to do that, like this one. That’s it! Not too hard, eh?! 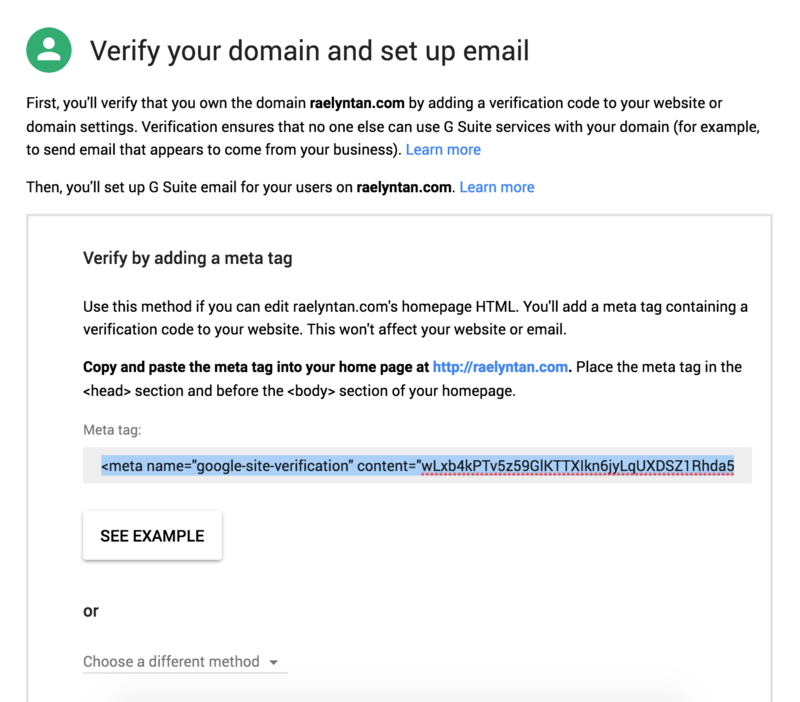 All you need to do next is log into Gmail with your custom domain and password. ***If you’re just starting out (like, you’re a REALLY new blogger and have not started your blog yet), check out this 4-part blogging for beginners guide where you will learn how to start a blog in 20 minutes. It’s been shared over 50,000 times and has helped thousands of new bloggers like you start successful blogs. It’s not that hard. You can do it!